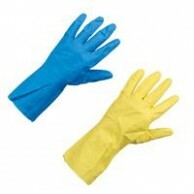 Ansell Econohands Plus Flocklined Latex Glove General Purpose Work Glove. Flock Lined for comfort. Excellent Price-Ratio usage. 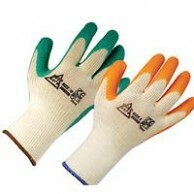 87-195 Extra thin glove for excellent sensitivity. Specially treated to reduce the risk of allergic reactions. 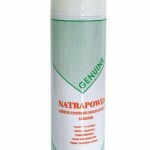 Ideal product for cleaning, maintenance and light assembly tasks. Thickness:0.35mm If you have and queries then please contact us. 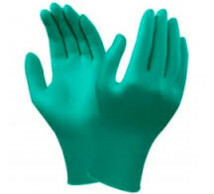 100% nitrile approved for use with food preparation, Golf Course workers and general maintenance. Powdered or Non-Powdered. Avaliable in a box of 100. Colour: Blue Size: S, M, L, XL Unit: Box of 100 If you have any queries then please contact us.